As an intermission in my countermeasures, I would like to share with you some songs by one of my - in my opinion immortal - heroes of Congolese music: Léon Bukasa (see my earlier posts here and here). 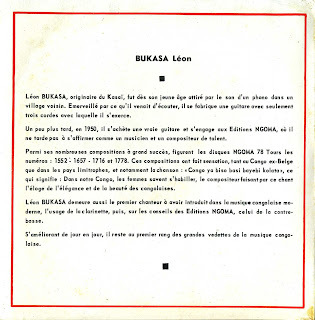 "Léon Bukasa, originating from Kasaï, as a young boy was enticed by the sound of a phonograph in a neighbouring village. Entranced by what he had just heard, he built a guitar with only three chords and started practising. 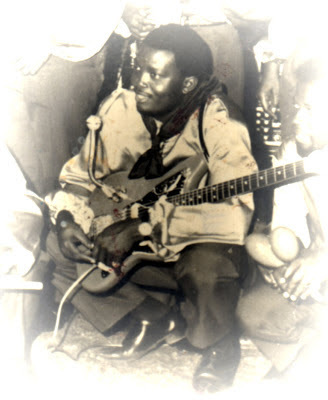 A year later, in 1950, he buys a real guitar and joins Editions Ngoma, where he soon makes his mark as a musician and a talented composer. Among his numerous hit compositions are the Ngoma 78 rpm records: 1552 - 1657 - 1716 and 1778. These compositions were a huge success, both in the former Belgian Congo and in bordering countries, and especially the song "Congo ya biso basi bayebi kolata", meaning "In our Congo the women know how to dress (well)", - with the composer praising the elegance and the beauty of the congolese women. 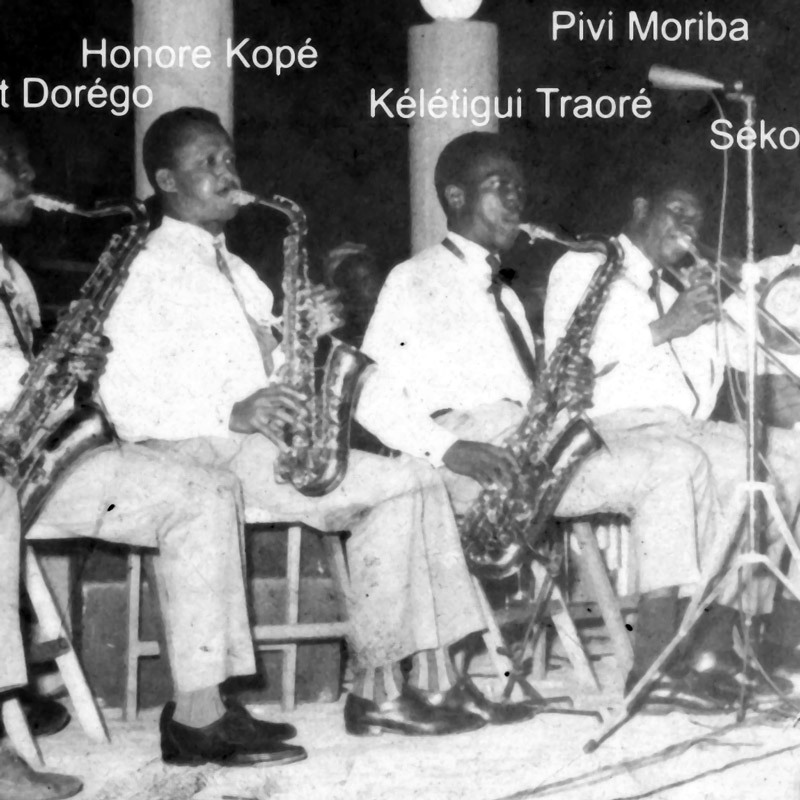 Léon Bukasa also was the first singer to introduce into congolese music the usage of the clarinet, and subsequently, on the advice of Editions Ngoma, that of the double bass. While getting better every day, he remains one of the top stars of congolese music." The songs I am sharing with you are actually not from the EP of which I am adding prints of the sleeve. 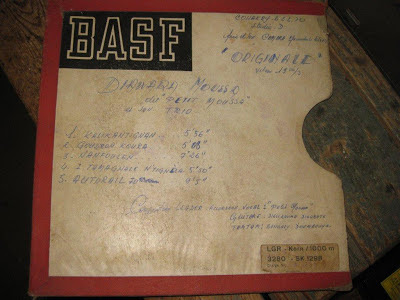 And to the four tracks mentioned on the sleeve I am adding two more, "Bakimi na mbongo" and "Sabine ndeko", to complete the series of three subsequent 78s from the Ngoma label. My favourite, and an overall favourite in the whole of Congolese music (and that is a lot of fantastic music! ), is "Mokengele Honoré", which from my biased (I admit it freely) point of view is one of the few songs that can compete on equal terms with those merveilles du passé of the O.K. Jazz on Loningisa. The other five songs follow closely behind, - but nevertheless behind. 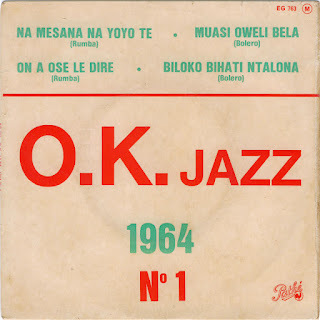 All six tracks were composed by Bukasa himself and were originally released in 1961. 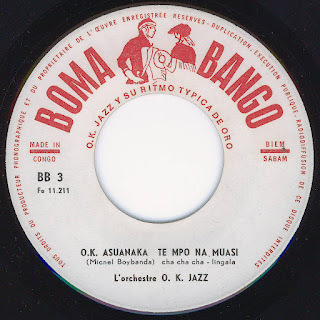 As far as I know these were the last three 78s released by Bukasa on the Ngoma label (but I am still hoping I am horribly wrong...). 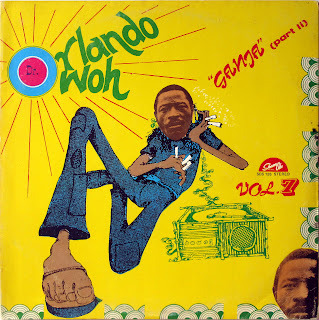 Ngoma 2160-2161-2162 (mp3) and (as long as it lasts) a flac-version. Ngoma 1716 = "E! E! E! 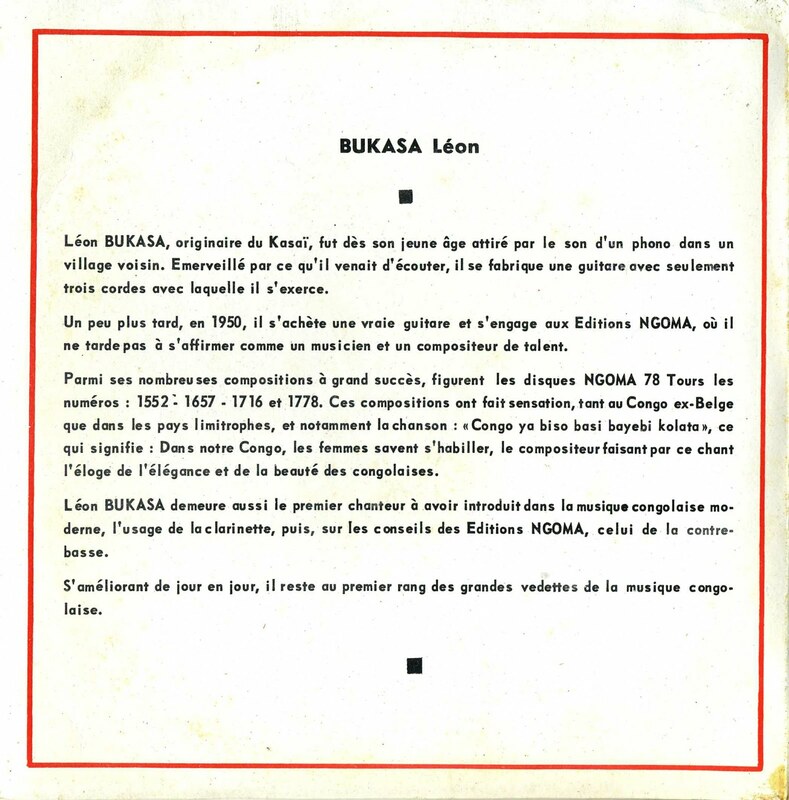 Se liwa" / "Nakumbuka kimanda wangu" by Bukasa and A. Luango"
Note the two extracts from the Ngoma Super 45 catalogue which are on the back sleeve and on the back of the inner sleeve. Mouth watering! While it appears my worst fears with regards to the outcome of the elections here in the Netherlands are slowly becoming reality, with both a continuation of the growing intolerance (of the kind which in the 1970s we used to call "repressive tolerance"), of the so-called 'joys & benefits' of privatisation and/or the deification of The Economy, it appears that elsewhere in the world people are facing even greater and more anti-human challenges. I read a few days ago (here) that those so-called rebels in northern Mali are considering banning music. That certainly will help their cause and create acceptance with the local population. How dumb can one get? In a country that has music, storytelling and rhythm in both its soil and in the blood of every single individual of its population! So I think it is time for some serious countermeasures. I will start off with a cunningly devious weapon, seemingly innocent but potentially lethal. A sweet looking woman, a girl even. Lovely smile, modest expression. But a voice like a dagger! Kankou Demba not only has a powerful voice, but matching lyrics. She has a strong social message and doesn't believe in sweet-talk. 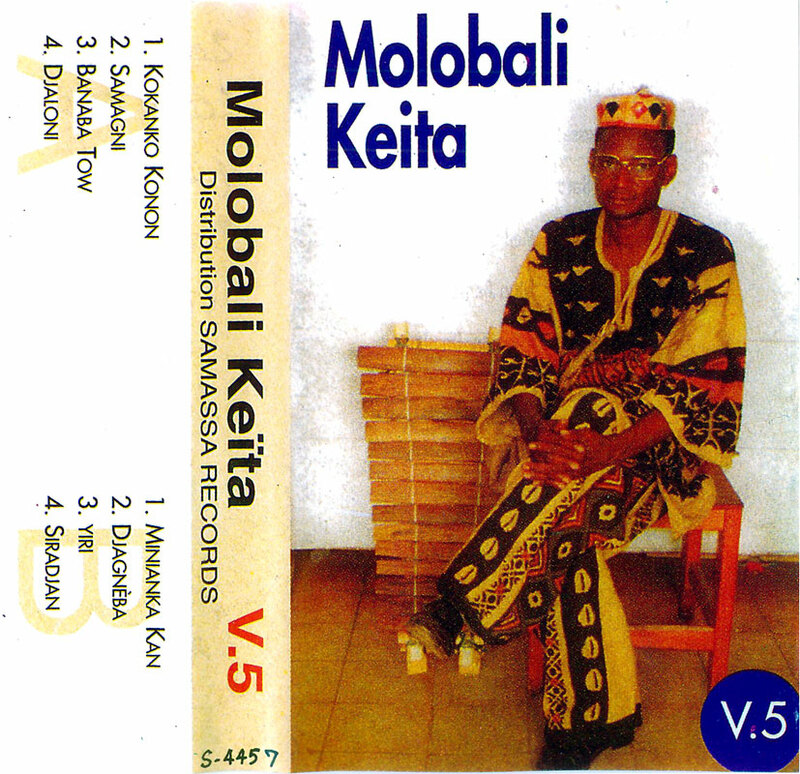 sings Kankou in "I Dabo N'ga Kouma Na" ("You don't have the right to speak"). 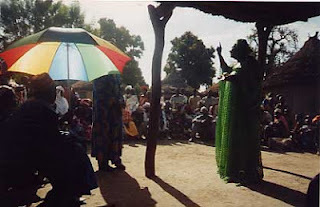 And with this she refers to a crucial concept in Malian culture and society: fasiya. I suppose this can best described as a mix of legacy, role in society and lineage. 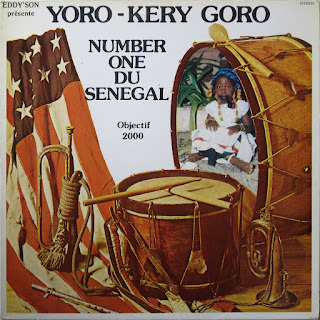 Perhaps not a concept which is very 'now' in western society, but one that has a tendency to be a essential element in the understanding of Malian culture. And of Malian griotisme, for that matter. 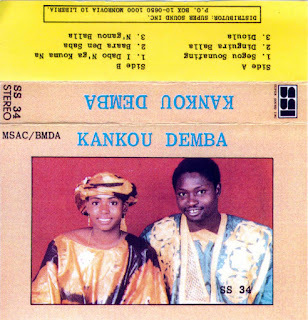 Kankou Demba's own lineage is apparent from her singing style. 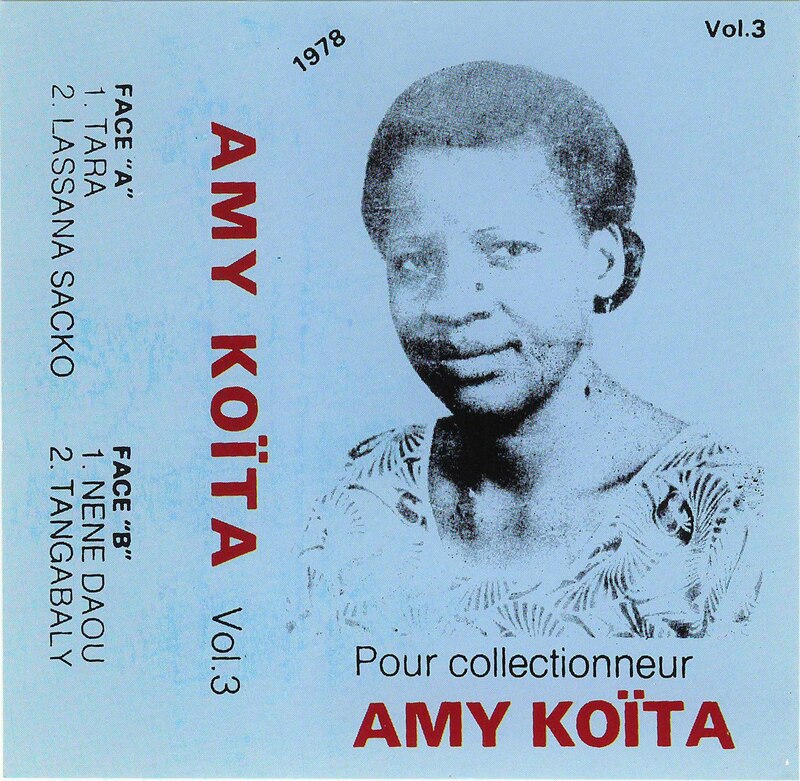 She follows in the footsteps of Fanta Damba and Koni Coumaré, with a definite Ségou bambara base. I have had this great cassette for well over twenty years and it has not tired me. The conviction, the straight-from-the-heart honesty of Kankou's singing should, no must do something to start the process of corroding the iron resolve of those misguided 'fundamentalist rebels'. 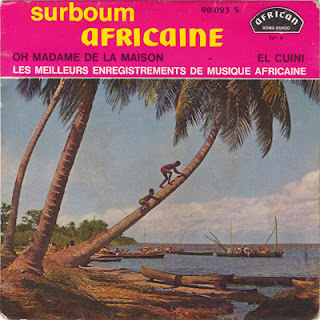 *translated from the translation (into french) by Cheikh M. Chérif Keïta in "Massa Makan Diabaté, Un Griot mandingue à la rencontre de l écriture". It is 23 years ago today that I, like many other mélomanes, was shocked to receive the news of Franco's death in Namur, Belgium. And in writing I am tempted to add "only". For in many ways it seems like no time at all has passed since the tragic day of October 12, 1989. On this EP from 1964 alone there are - at least* - three songs that have so far escaped digitisation. 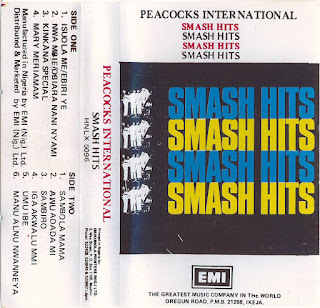 Three songs which on their own would amply merit a release on CD. And not just for the fact that no less than two of the three are in the musical style which seems to fit Franco like a glove: the bolero. 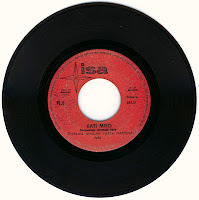 The A-side contains two songs composed (and of course sung) by Vicky Longomba, while those on the B-side are composed by Franco lui-même. Needless to say that the two boleros are hot favourites on this record, with Franco at his dramatic best on guitar in Vicky's composition and addressing the Congolese/lingalaphone masses in the intriguing "Biloko Bihati Ntalona". 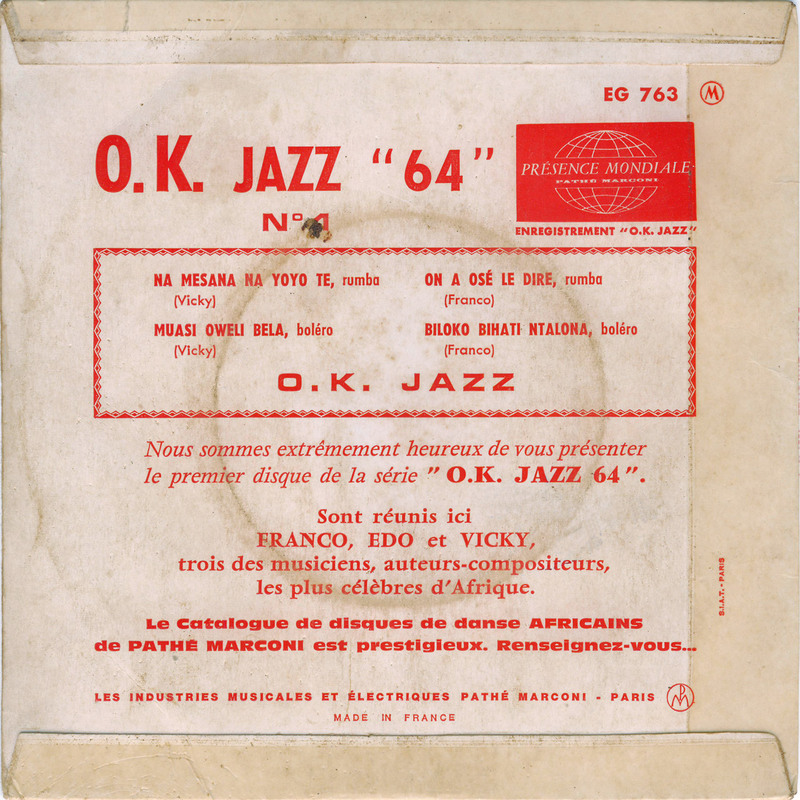 This song is especially intriguing as it follows "On A Osé Le Dire", which can be translated (rather badly, I admit) as "They have dared to say it". 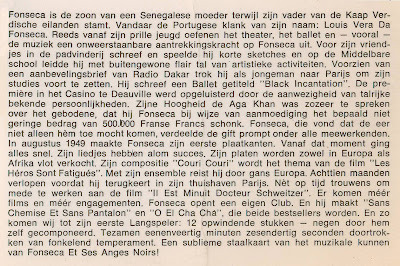 Apparently the person who is being addressed in the song has been accused of using sorcery ("fétiches") against the singer, or rather the person represented by the singer. And the singer is gradually starting to believe that these rumours are true. To add to the intrigue, I have the impression that "biloko" may refer to malignant dwarf-like creatures, which the Mongo people believe roam the dense forests and are considered to be the spirits of ancestors of the people living there, - according to this article in the wikipedia. Perhaps someone who does understand lingala can help us out...? I am aware that Moos at Global Groove has posted an album by this very same group a few days ago. But in this case I can't resist adding my contribution to a well-deserved eulogy of the fantastic Peacocks International. 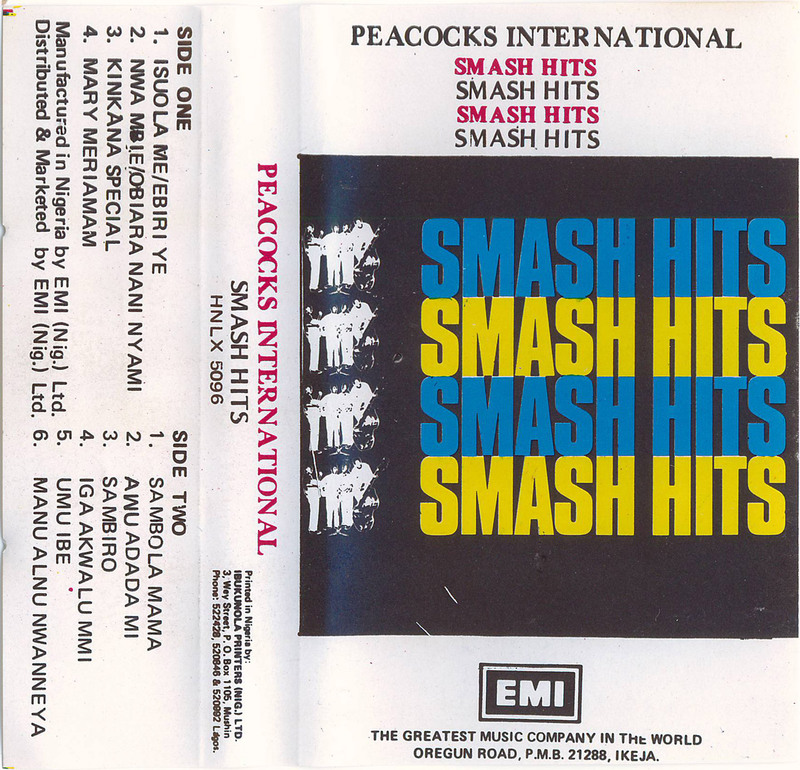 According to the inimitable John B. of the matching Likembe blog in the notes to the discography of this band on Professor Toshiya Endo website, the liner notes of the lp-version of this cassette claim: "..yet only very few of the millions of fans within 150,000 family units in Nigeria and Ghana really know who the Peacocks are. Some call them Ghanaians and are ready to stake anything to argue their claims, but call them what you like, the boys are Nigerians." As an outsider I am truly amazed. I have never been in any doubt as to their nigerianess. 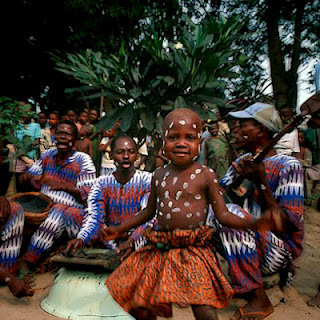 And, it may be my total ignorance of efik, ewe, igbo or any of the other languages they may sing in, or call it intuition if you like, I had a nasty suspicion they might be from the igbo-side of Nigerian music. 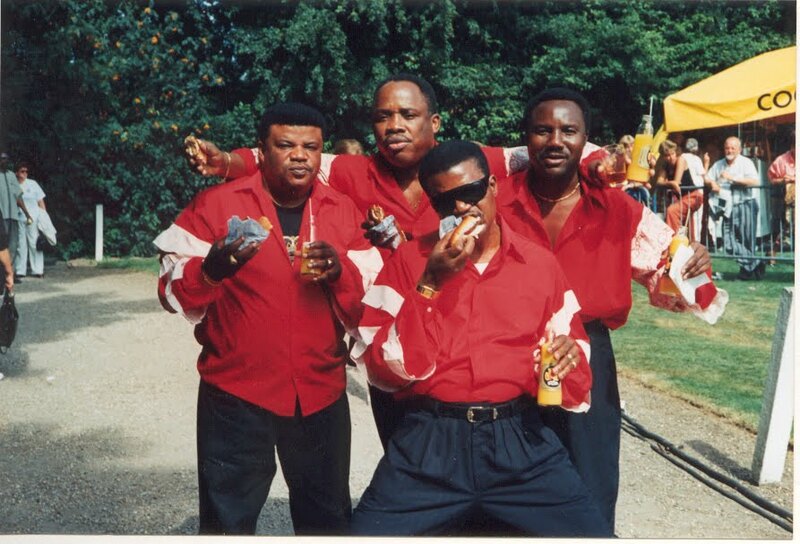 Whether it is the music of that late Consistent King of Highlife, Stephen Osita Osadebe, or these Peacocks, there is a definite comforting feel about this music. I have had plenty of time to analyse this, as I have had this cassette for a few decades and have listened to it hundreds of times. If you want to know more about the group I am afraid I will have to direct you to John's Likembe blog. I am still hopeful that he will share some more Peacock music with us. 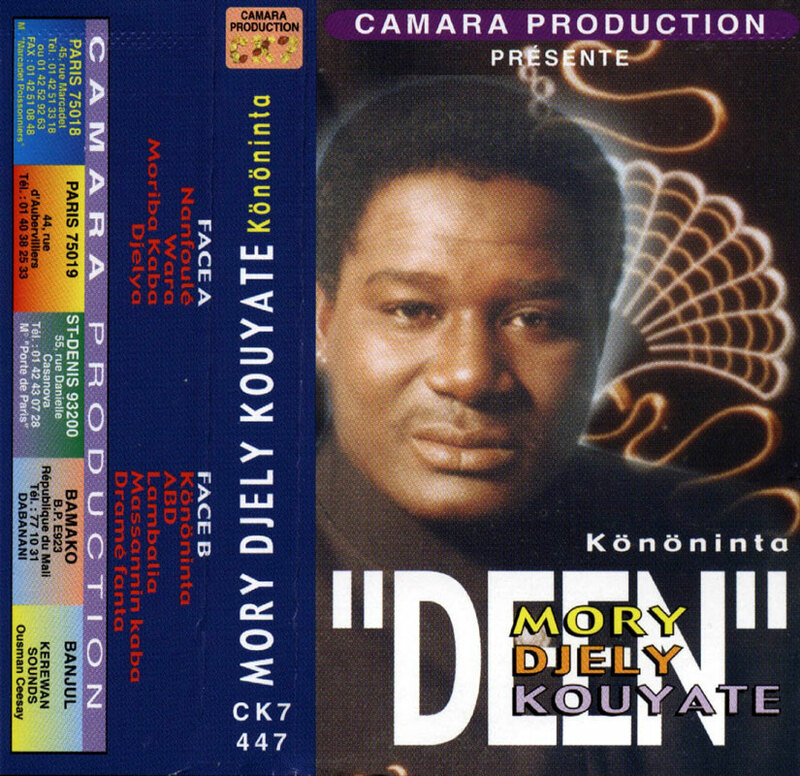 Another of the big men of Congolese music has gone. Paul Ndombe, better known as Pépé Ndombe or Ndombe Opetum has died on May 24, 2012 in Kinshasa. The first rumours of his death reached me on the very same day. As it was impossible to verify this tragic news, and as rumours have often been found to travel faster than the truth, it seemed wise to wait a little before posting it in this blog. I have never had the fortune to interview Ndombe. So with regards to his biography I have to rely on other sources. 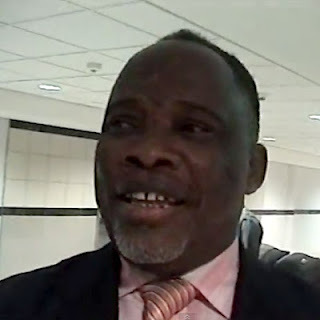 Born on February 21, 1944 in the Bandundu province, Paul Ndombe moved to the capital Leopoldville at the age of five, where his father had found work as a teacher. Having succesfully finished his schooling, Paul was sent to the town of Kikwit in the Kwilu province to start work as a civil servant. There, at the age of seventeen (and far from the watchful eyes of his parents? ), he gave in to his passion for 'the arts' and joined a group called Select Jazz. A few years later, with some friends and with the help of a local sponsor, he started a band called Super Fiesta. In 1965, as a result of the unrest in the Kwilu province, his job was 'relocated' to the capital. Although this meant leaving his band behind, it appears the urge for music did not diminish. According to some reports Paul Ndombe in 1967 attempted to join Vox Africa, after Sam Mangwana left the group. But Jeannot Bombenga turned him down. 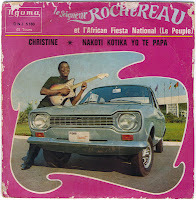 A year later he was encouraged to audition for an even greater star of Congolese music: Rochereau. 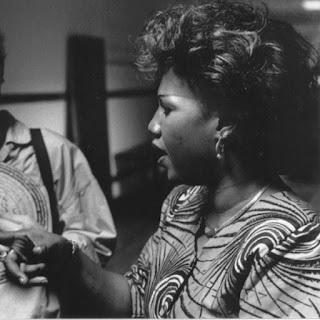 According Gary Stewart (in his "Rumba On The River") and others he again was to replace Sam Mangwana, who had left after the orchestra had been suspended for showing up late for a gala concert set up by President Mobutu. He managed to impress Rochereau with an immaculate rendering of the song "Baboka" (a.k.a. 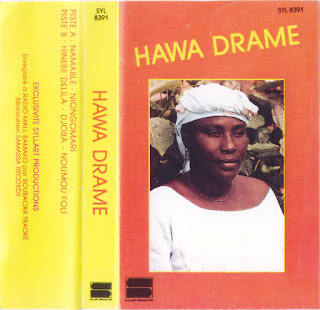 "Michelina"), according to this interview (which unfortunately is in lingala, but which I still recommend very strongly, - if only for the bits of singing by Ndombe!). 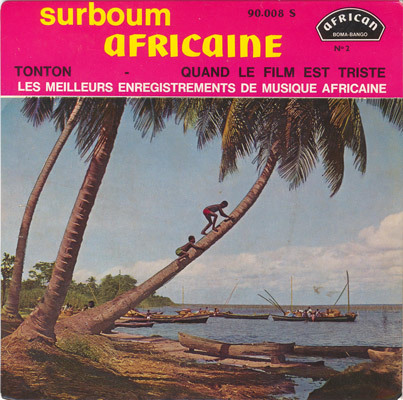 Ndombe, nicknamed "Pepe" by Rochereau, settled in great with African Fiesta National (or African Fiesta 'Le Peuple'). 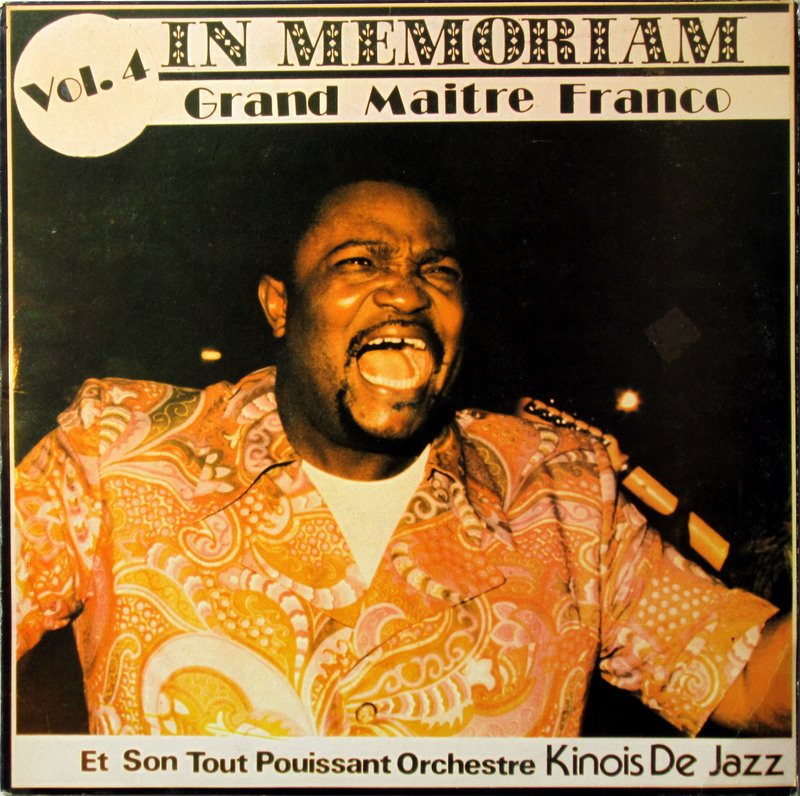 His voice combined perfectly with Rochereau's. 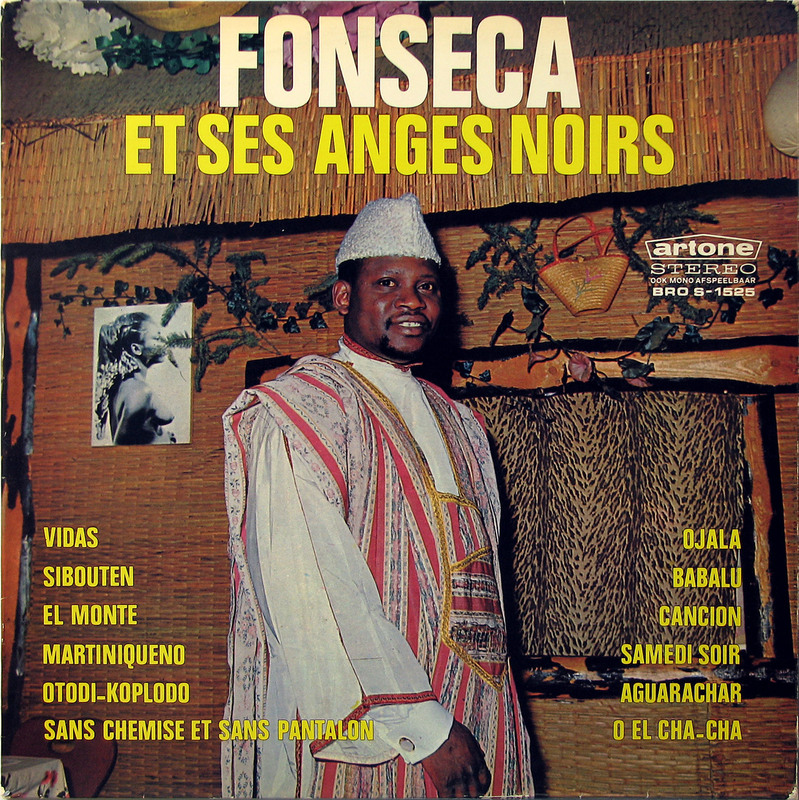 In fact, both voices were similar to a point where fans even confused Ndombe's vocal with that of Rochereau. 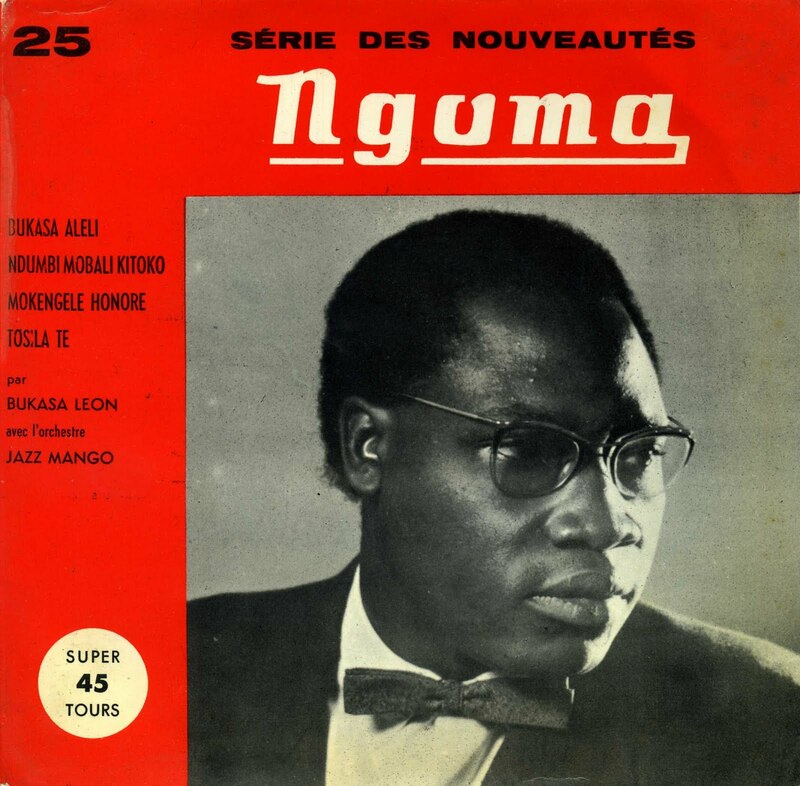 As a composer too Ndombe soon started to make a name for himself, with hits like "Hortense", "Nakoli Kotika Yo Te! Papa" and - my favourite - "Longo". And in 1970 he accompanied Rochereau, who by then had adopted the title of "Le Seigneur", during his prestigious concerts at the Olympia in Paris. Concerts which - by the way - Rochereau has described in several interviews as a highlight in his career. 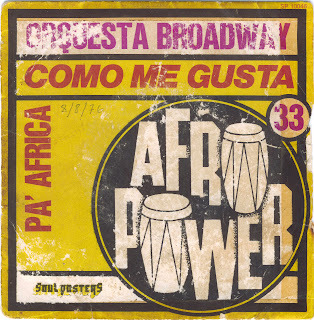 In the following year, things turned slightly sour for African Fiesta. Some musicians and dancers left after they had not been paid for nine months. Rochereau himself was even jailed after a dispute about money. 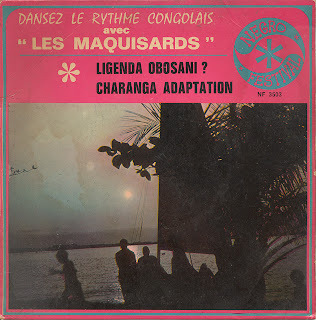 The exodus was completed in 1972, when Pierre 'Attel' Mbumba (who had joined African Fiesta shortly before Ndombe) and Empompo Loway 'Deyesse', together with Ndombe (who had been renamed Ndombe Opetum in the Mobutu's Authenticité campaign), were lured out of the orchestra to form Orchestre Afrizam. Sam Mangwana joined for a short while, but after he had left Ndombe was the star of the show. He composed a great number of songs and sang in most, if not all. My impression is that things did not go as smoothly as Ndombe would have like with Afrizam. 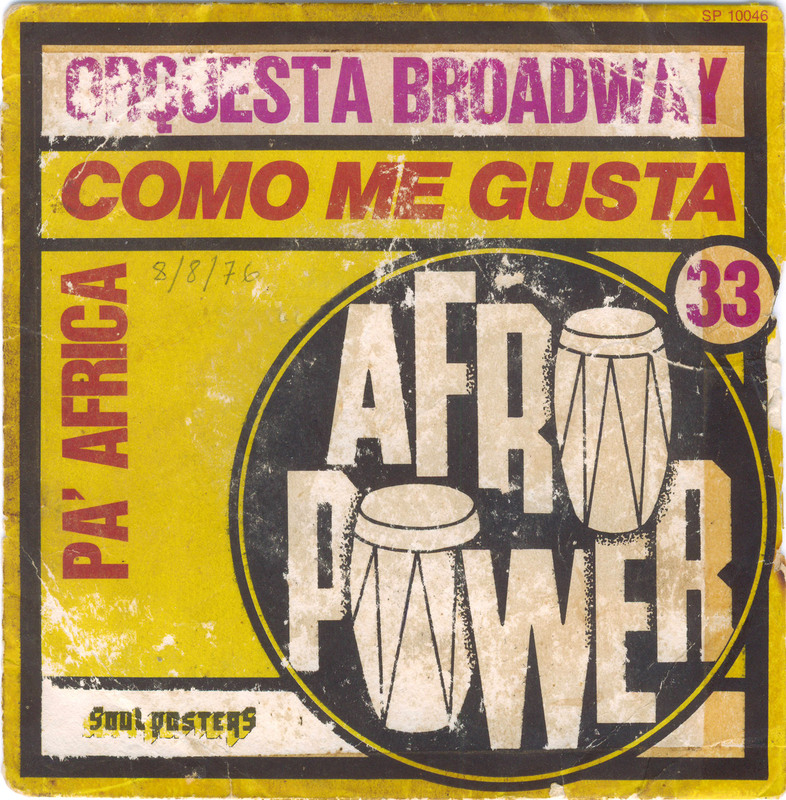 Some point out that the ghost of Tabu Ley Rochereau's Afrisa/African Fiesta kept pursuing Afrizam and that this was only strengthened by the use of Afrisa's rhythms. 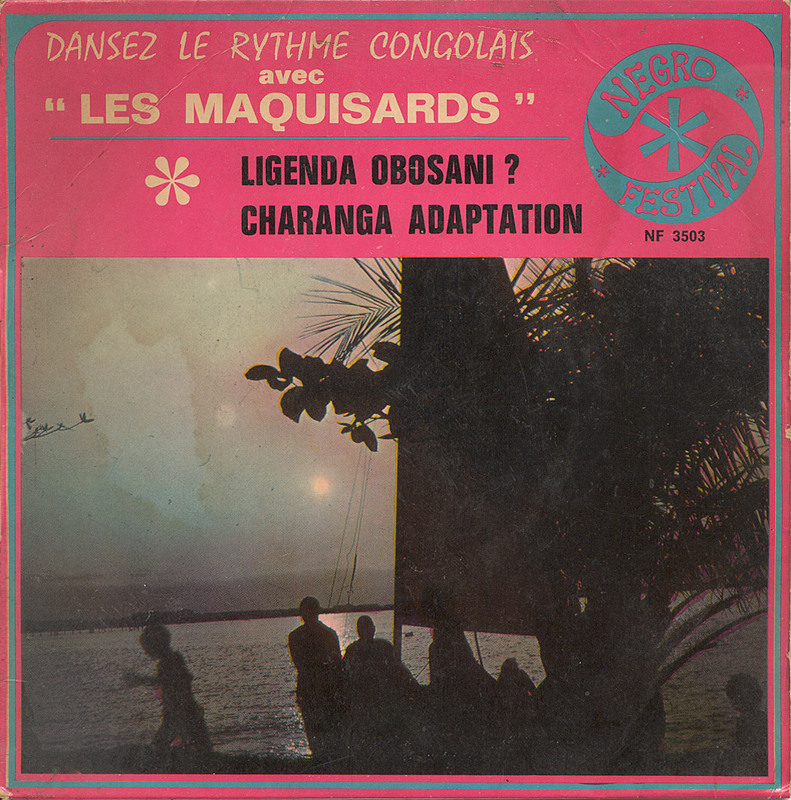 Ndombe decided to team up with guitarist Dino Vangu and change the name of the orchestra into Makina Loka. 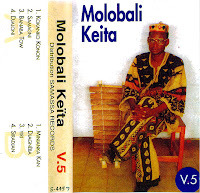 Here he recorded - amongst others - this single "Zongisa Bolingo 1 & 2" (which was re-released on CD as "Mpongo"). My guess is that it did not take a lot of persuading to get Ndombe to join the Tout Puissant O.K. Jazz in 1975. He fitted perfectly into Franco's strategy to merge the styles of the two schools of Congolese music into one. 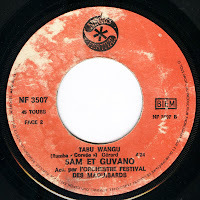 Again he served as a replacement for Sam Mangwana, although I assume that Franco saw the 'added value' which Ndombe could bring, and which he very soon demonstrated in songs like "Yo Seli-Ja" (video) and - especially - "Salima" (highly recommended video). Besides being a great addition as a vocalist Ndombe also proved his relevance as a composer. Best known in this early stage of his career with the T.P. O.K. 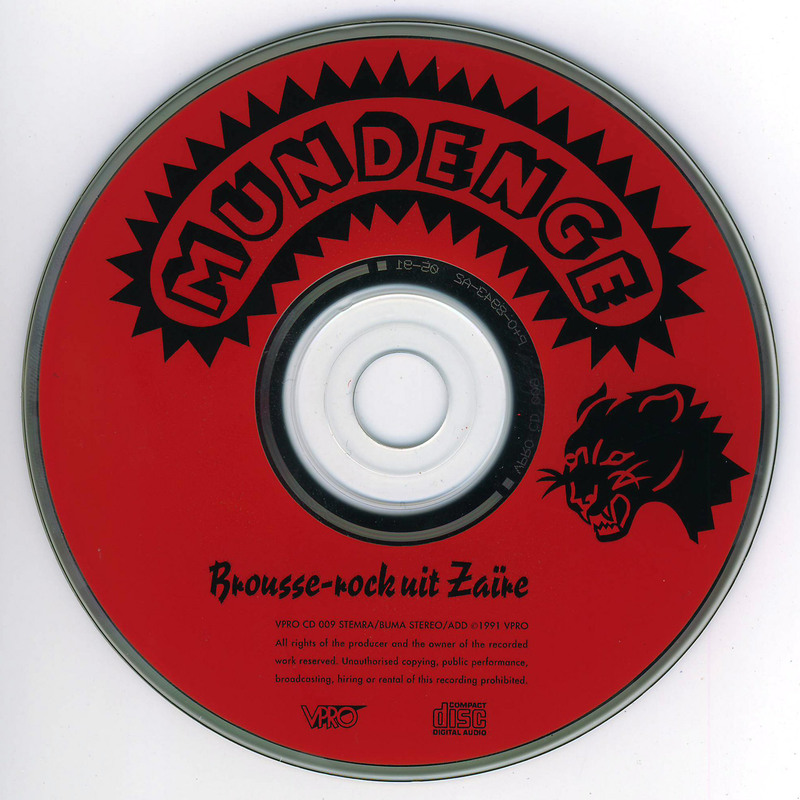 Jazz is his song "Voyage Na Bandundu". 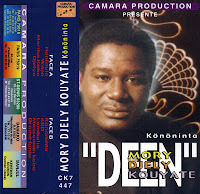 Although others see this song as a continuation of his repertoire with Tabu Ley, I don't agree. My impression is that Ndombe tried to emulate the success of Lutumba Simaro's classic "Ebale Ya Zaïre", which had been so brilliantly interpreted by his 'predecessor' Sam Mangwana. In 1983 Ndombe left the T.P. O.K. Jazz*, for reasons which so far I have not been able to uncover. Perhaps they had to do with Franco's lengthy stay in Europe, and with Ndombe's ownership of a bar dancing, called "Lal Abiy Santamaria", which was his pride until it was burned down (in 1994?). He teamed up with Sam Mangwana and Empompo Loway in a group ambitiously called "Tiers Monde Cooperation" ("third world cooperation"). The Tiers Monde 'project' delivered - as far as I am aware - three lp's, and four if you count the lp featuring "Fatimata" which is credited to Sam Mangwana (who is only on one of the Tiers Monde Cooperation lp's) and orchestre Tiers-Monde. Ndombe returned to the O.K. Jazz flock in 1986, and joined Franco on the tour of Kenya that year, and during the concerts in Brussels in April 1987. But later the same year he had another row with Franco and left the band to rejoin Tabu Ley's Afrisa International. 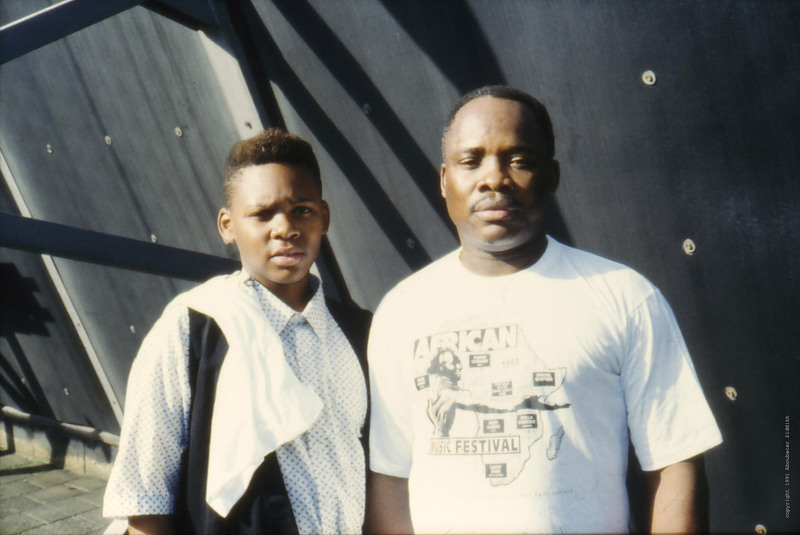 Fortunately Franco and Ndombe put aside their differences and reconciled before Franco's death on October 12, 1989. Ndombe rejoined the T.P. O.K. Jazz and became one of the leading forces of the band after Franco's demise. In 1993, when the band was forced to abandon the name of T.P. O.K. 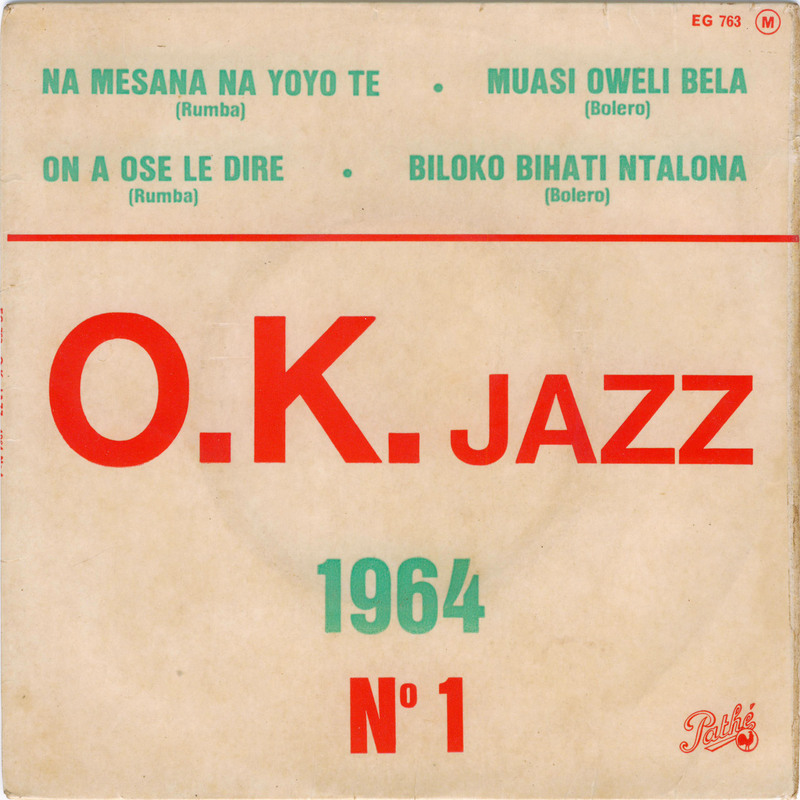 Jazz as a result of dispute with Franco's family, Ndombe was one of the initiators of the new orchestra Bana O.K.. He played a crucial role in the continuation of Franco's legacy until his untimely death. Ndombe leaves a wife and 9 children. * according to some sources. Other sources claim that he never left the T.P. O.K. Jazz, but was allowed to 'moonlight' with Tiers Monde. Two of the tracks I am sharing with you in this post were on a cassette labelled "Super Biton National 81" which I bought some ten or eleven years ago in Bamako. It was only last year that I found out I had been misled. 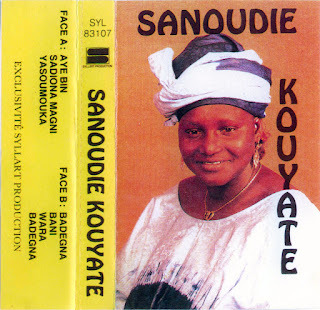 In meeting the musicians from Super Biton in Bamako, last October, I asked them to help me out with the titles of a couple of cassettes attributed to them which I had collected of the last thirty years. Much to my surprise they identified these two tracks, which up to then had been among my favourite "Biton" tracks, as being performed not by Super Biton from Segou, but by Orchestre Bronkoni* from Niono! The name rang a bell. 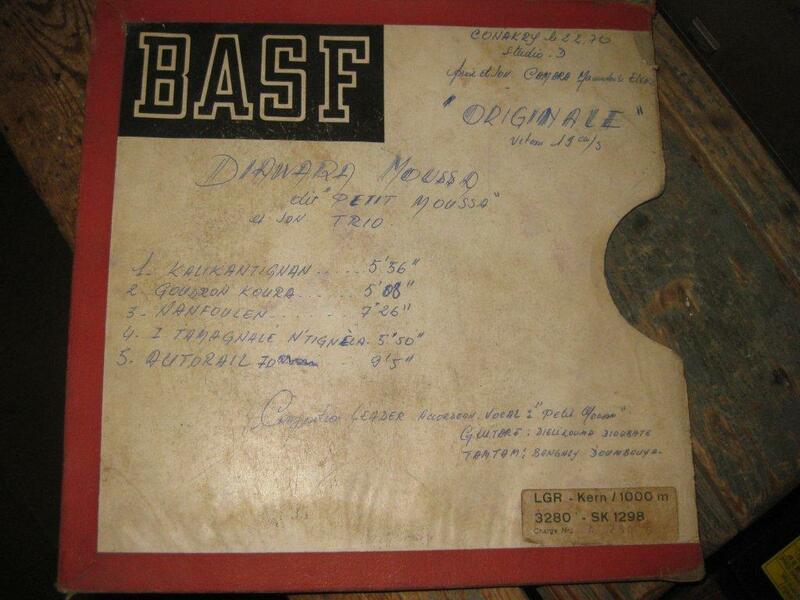 I had heard of this orchestra in 1988 during my visit to the last of the old style Biennales in Bamako. Two years later I even ventured down to Niono, partly to retrieve some music by this mysterious group, and partly because others had pointed the small town of Niono out as a "hotspot" for traditional Bambara and Sarakolé music. Disappointingly I only found a disproportionate amount of Sudanese music (largely due to the presence of a Sudanese medic, I was told), and some Dutch (agricultural) development aid workers. In the meantime the name "Bronkoni de Niono" appears to be almost exclusively associated with one artist: Adama Yalomba, who seems to have been touring in Europe (and perhaps also other parts of the world). Apparently he has been a member of this orchestra at one - undefined (!) - point. As seems to be common on the web, all references are indiscriminately copied (and often even without bothering to change the wording). I am told he is not the only musician with a history with Bronkoni. But I am sure Vieux Paré (video!) is not as well known in the west, so you won't find as many references linking him to the Niono orchestra. Getting back to the music, even now I have a hard time not associating this music with the legendary Super Biton orchestra. These two songs are of such a high standard, and so brilliantly executed, that it seems hard to imagine them as originating from another source. 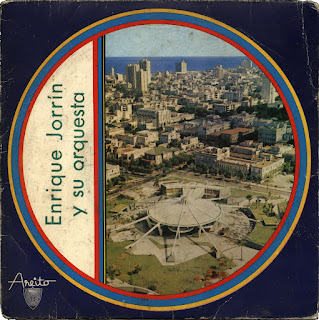 The opening lines are 100% in the Biton style, with a superb horn section sliding in over the guitar intro. A spine-tingling opening usually only to be found with the music of Biton. 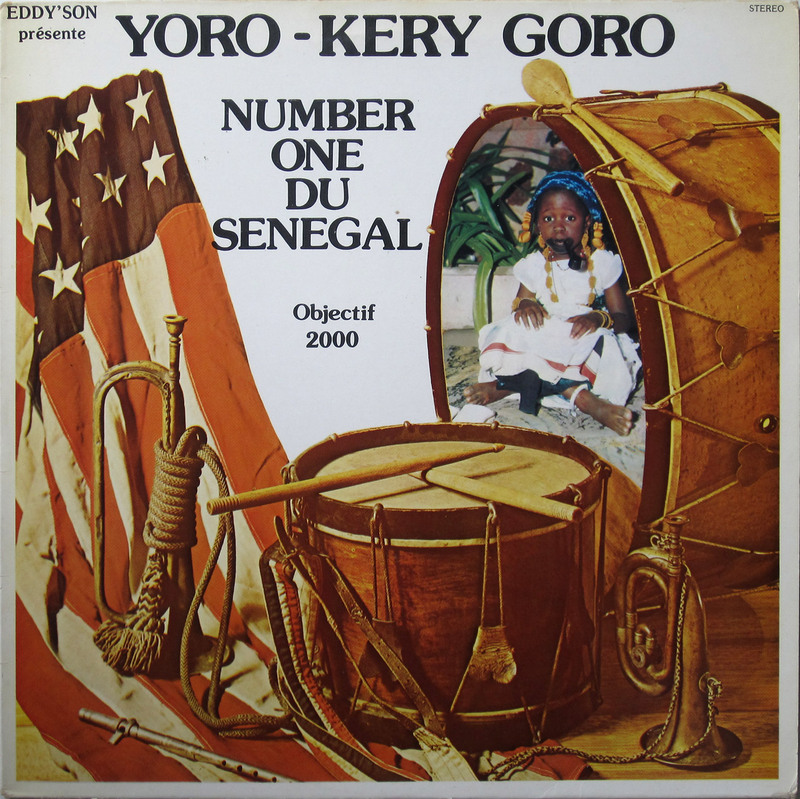 On the other hand it can be seen as an indication of the general - exceptionally high - level of the Malian orchestras, during their 'Golden Years' in the 1970s and 1980s. Both songs feature elements which can also be found with other Malian orchestras, such as the female impersonation (in "Pary-Mary") and the 'underground' organ (in "Kômon Foli"). But I for one certainly would love to hear more from and by this great orchestra. As a foretaste of things to come, I am adding a track which I recorded myself at the Biennale in 1988. 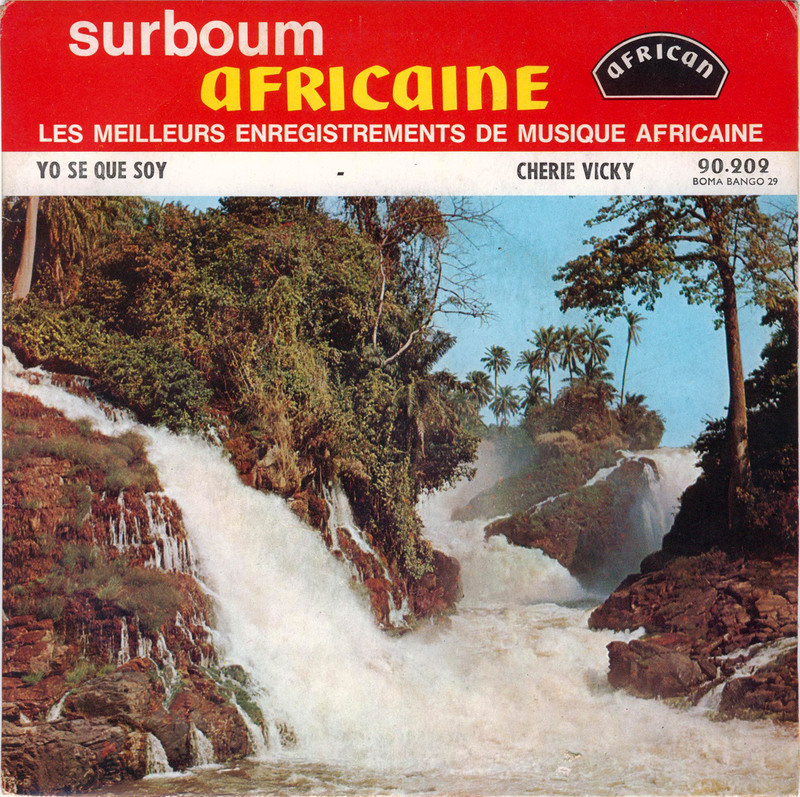 The track is by the orchestra representing the district of Bamako: Bamansaba de Bamako. 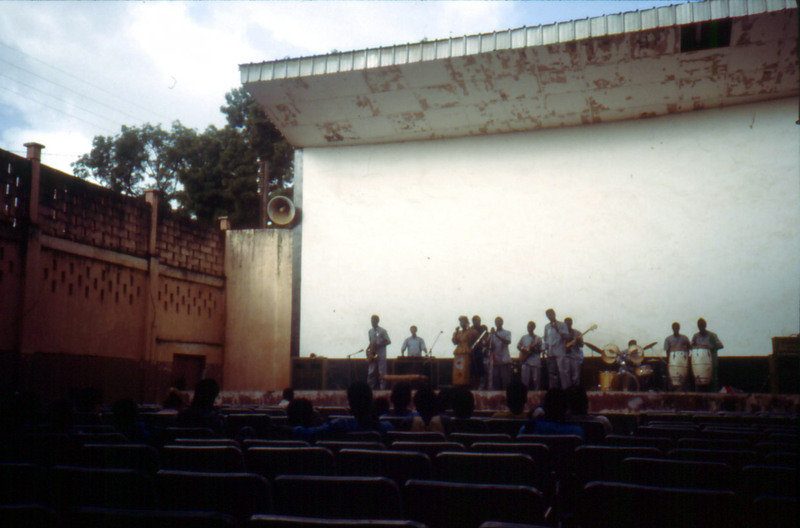 The photo on the right taken during this concert should give you an idea of the circumstances during this concert on September 11, 1988 at the Cinema Rex in the center of Bamako (which no longer exists). 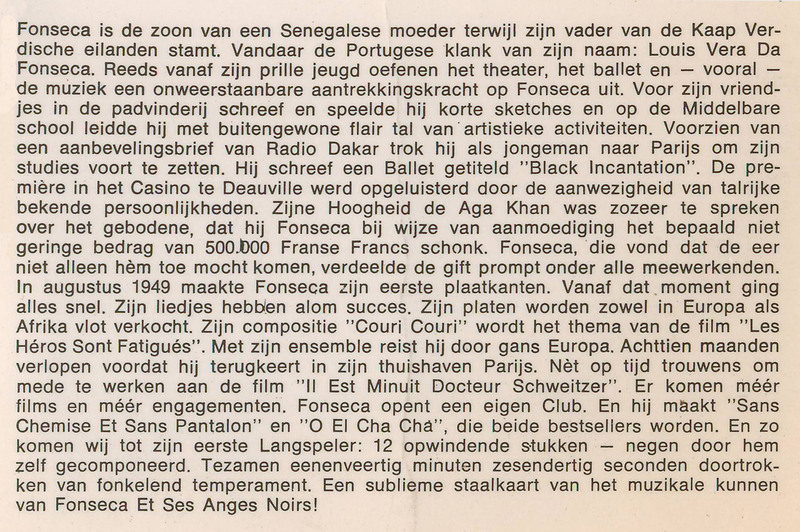 In a future post I hope to write more about the competition of the "Orchestres Modernes" of the 1988 Biennale. 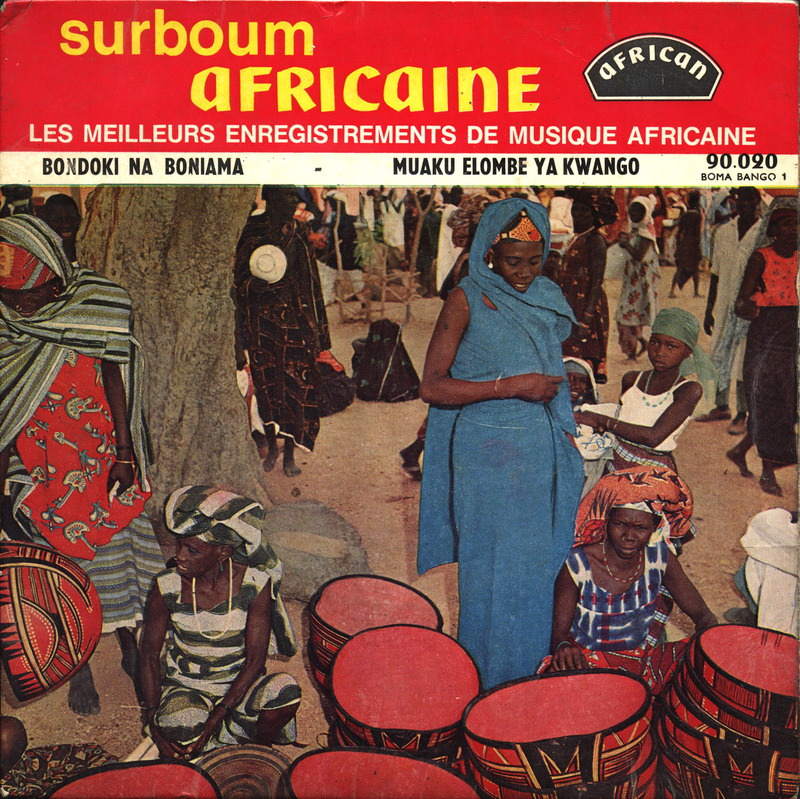 Bamasaba de Bamako - "Danaya Kouma"